The 2018 iPad Pro might have more RAM than its predecessor, but only if you buy one of the most expensive versions. Apple has reportedly pegged the amount of RAM in the new iPad Pro to the amount of storage capacity. If this is true, it will be a significant departure for the company. Even on the pricy MacBook Pro line, RAM is consistent between versions of the same model, no matter how much storage is included. If this report isn’t true, than every version of the 2018 iPad Pro will have 50 percent more RAM that the tablet Apple released last year. 2018 iPad Pro RAM: Good news, everyone! Noted developer and Apple enthusiast Steve Troughton-Smith was tinkering with Xcode and discovered that the iPad Pros unveiled today have 6GB of RAM, up from 4GB in the previous versions. He had to find this number out indirectly because, for some reason, Apple doesn’t announce how much RAM is built into its tablets and phones. So it’s up to others to figure it out. According to these unnamed sources, it doesn’t matter if you buy the 12.9- or 11-inch version of the tablet. Going for the maximum amount of storage is required to get the additional RAM. The cost of these top-tier versions is $1749 or $1549, depending on the screen size. Varying the amount of RAM depending on other options isn’t unusual for competing computer makers. 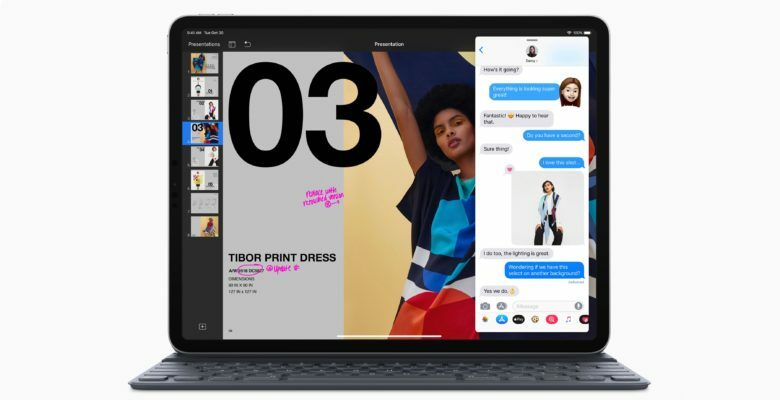 Take the new iPad Pro’s top rival, the Microsoft Surface Pro 6. Only the versions of this device with 512GB or 1TB of storage are available with 16GB of RAM. Choosing a smaller amount of storage requires also getting less RAM. But as mentioned, Apple doesn’t follow this strategy. It will be surprising if that’s changed with the 2018 iPad Pro. Not impossible, just surprising. iOS is very efficient about using RAM. The current 4GB in the 2017 iPad Pro is probably more than necessary. Adding to 50 percent on top of that is gilding the lily. Our 4GB test device passed this with flying colors. It could hold over a dozen apps in RAM simultaneously. So it will be nice if the 2018 iPad Pro has 6GB of RAM, but as Troughton-Smith pointed out that’s just future-proofing the device in case that huge amount is needed someday.